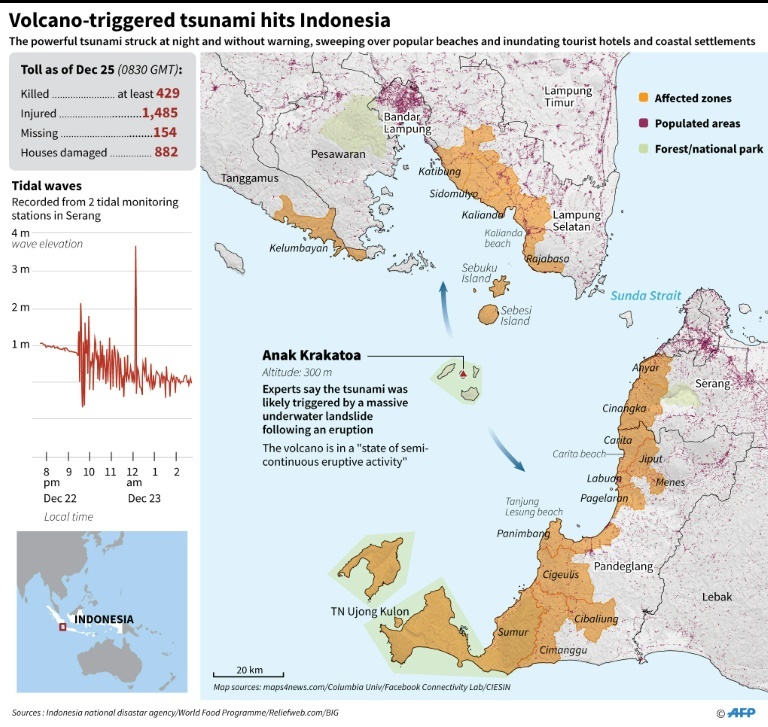 INDONESIA: Indonesian search and rescue teams yesterday (Dec 25) plucked stranded residents from remote islands and pushed into isolated communities still desperate for aid in the aftermath of a volcano-triggered tsunami that killed more than 400. Medical workers have warned that clean water and medicine supplies were running low – stoking fears of a public health crisis – as thousands of displaced survivors cram shelters and hospitals. Many were left homeless by the killer wave. 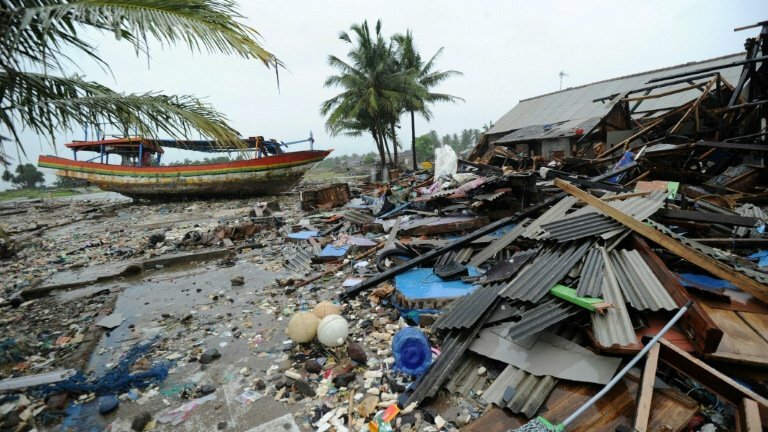 Thousands are expected to pray today for loved ones at mass graves and mosques to mark the 14th anniversary of the 2004 Boxing Day tsunami.